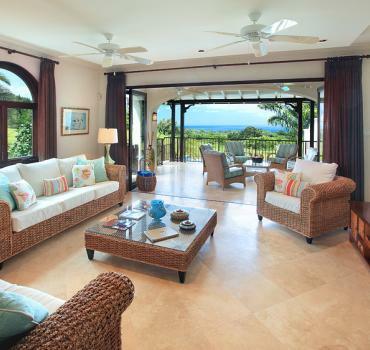 Fairway Villa #5 is located in Garden Wall at Apes Hill Club and sits overlooking the 18th Hole with a great view of the Country Club and beautiful Sunsets. 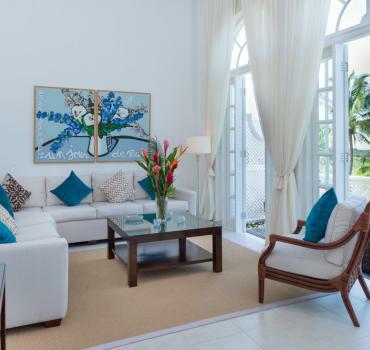 The Fairway Villas represent the essence of a stylish Barbadian plantation home with very high ceilings and doorways complimented by solid mahogany doors and windows. Designed with luxury living in mind, the Fairway Villa features 3 large bedrooms, a fully equipped Miele kitchen, spacious living and dining areas, and bedrooms come with en-suite bathrooms and walk-in closets. 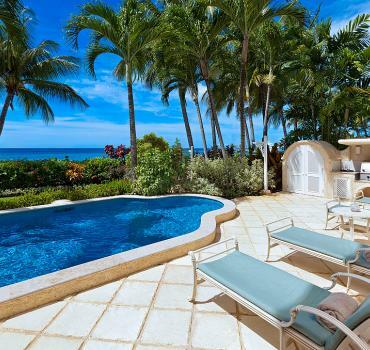 Each air-conditioned villa also has a private infinity-edge pool, car garage and golf cart port. The Master Bedroom has a large tub in addition to the shower. The following are included in your stay. * 3 night minimum stay.